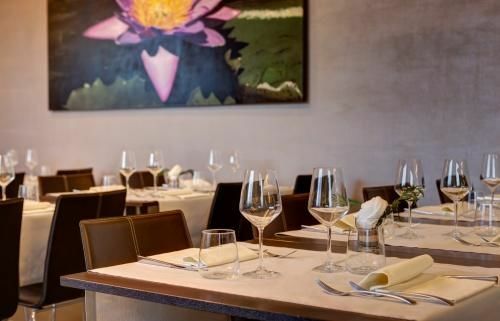 The Klima Hotel Milano Fiere boasts a modern restaurant offering a relaxed and comfortable environment. It is open for breakfast, lunch and dinner. Our Chef and his team prepare gourmet dishes with fresh natural ingredients and high quality seasonal products. We offer a selection of Italian and international cuisine and are happy to cater for special diets including vegetarians, vegans and gluten-free. Our Visconteo Restaurant offers the perfect venue for all your corporate meals, gala dinners and banquets. 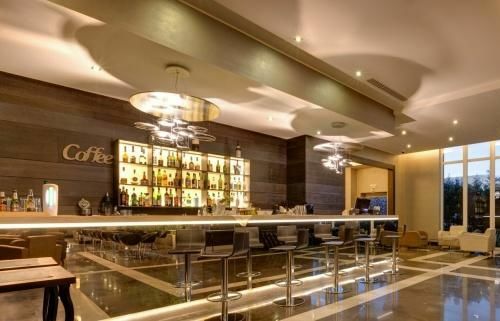 Our Sforzesco lounge bar features a modern and elegant decor. It offers the perfect place to relax and enjoy pre- dinner or after-dinner drinks, refreshments or conduct informal meetings. Our friendly bar staff serve cocktails and liquors from different parts of the world.